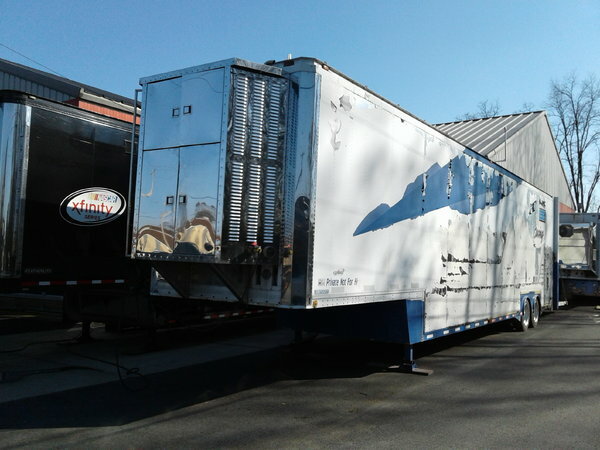 nice 48 ft kentucky w gate. 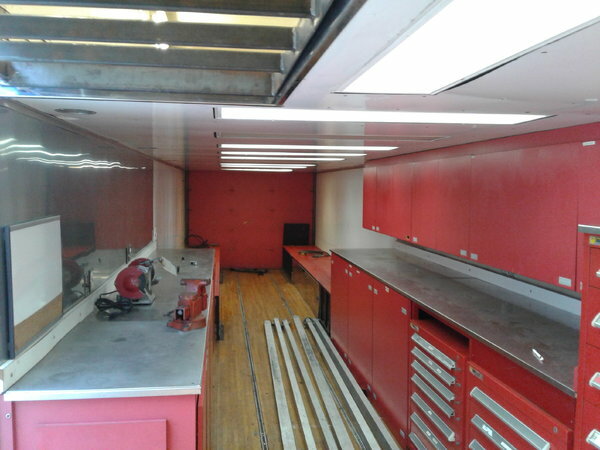 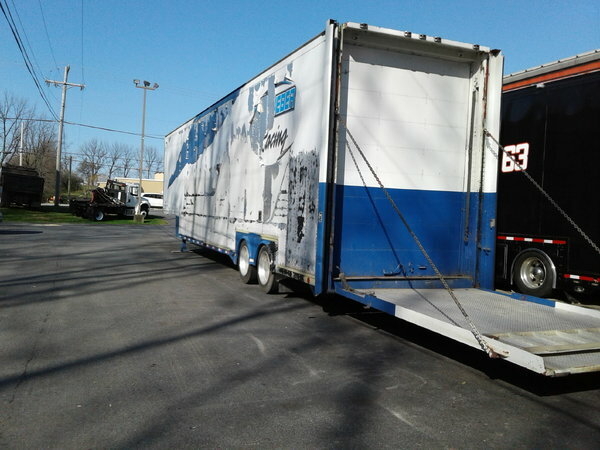 hauls three cars w lots of cabinets and work areas lounge w ac and fridge and lots of storage. 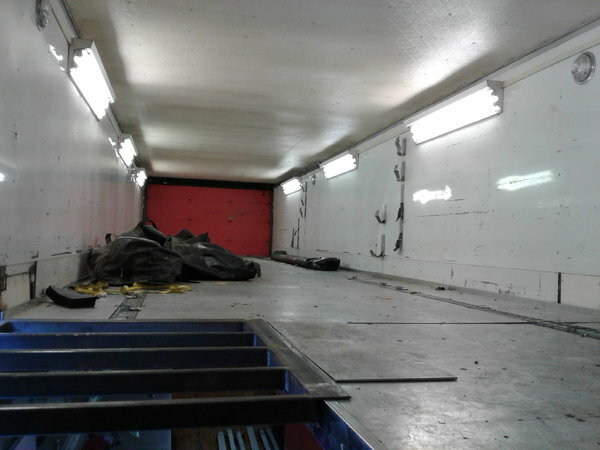 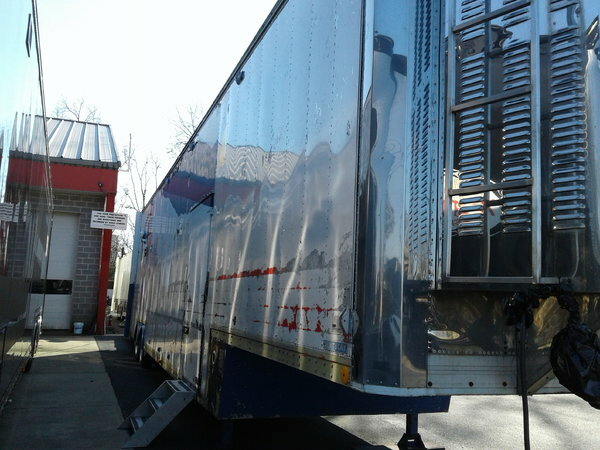 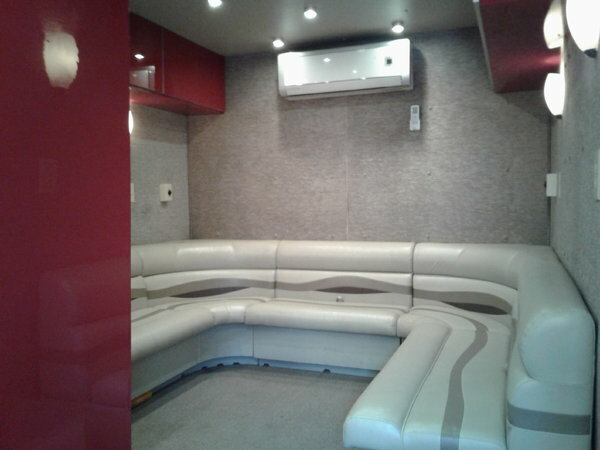 has air comp and plummed throughout air ride and also has right side awning..